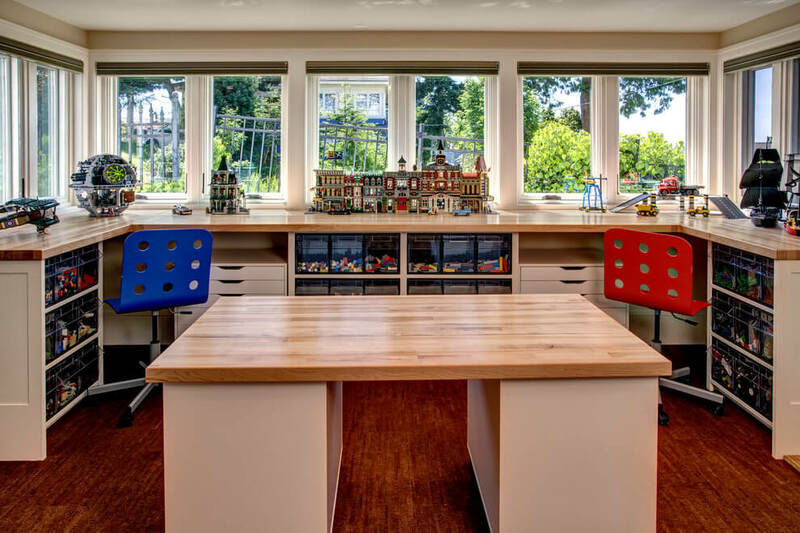 PLAYROOM IDEAS – Making your kids happy does not mean that you have to bring to an amusement park. Somehow, you can actually build your own amusement park-like room for your kids. We can simply call it a playroom. There are so many playroom ideas that you may try to apply anyway. Maybe, you can check these following playroom ideas for your inspiration. It does not matter whether you have a small house or a large house, you can still build such a fun playroom for your kids. 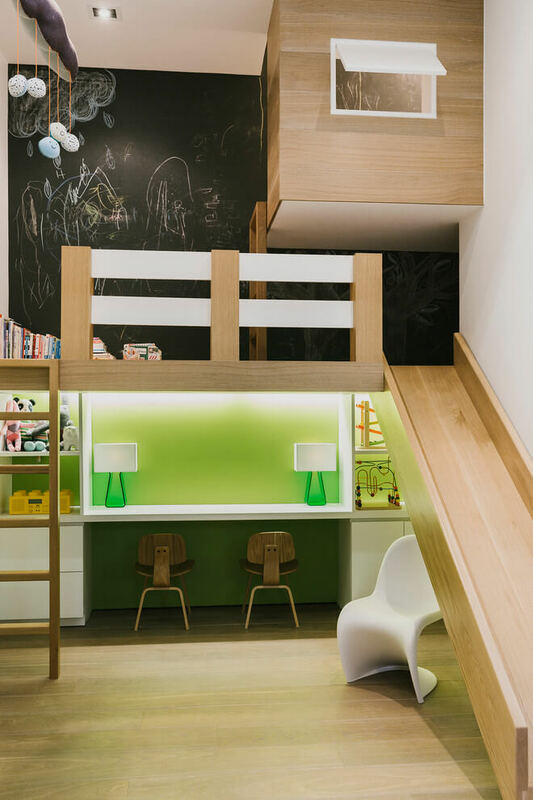 This stylish and fun playroom will make your kids feel happy to play at home every day. Simply, you can add white accent to the wall and then complete the room with kids stuff like toys, small table, and a small tent. 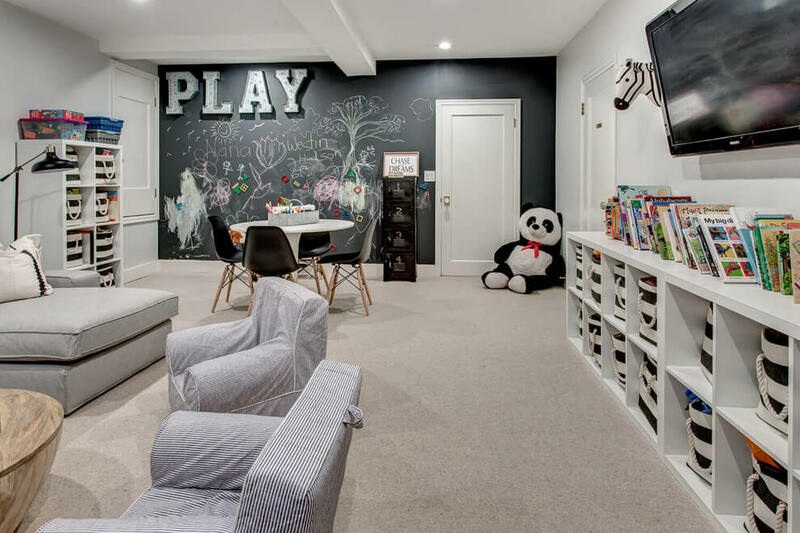 For those who have a very large house with a basement, you may build such a large basement playroom which really looks so spacious and fantastic. In this case, we would like to recommend you to combine one up to three accents on every corner of the room. In addition, you can complete it with beautiful colorful kids storage, small kids table, and a special gaming room. A big house tends to have two or three stories. 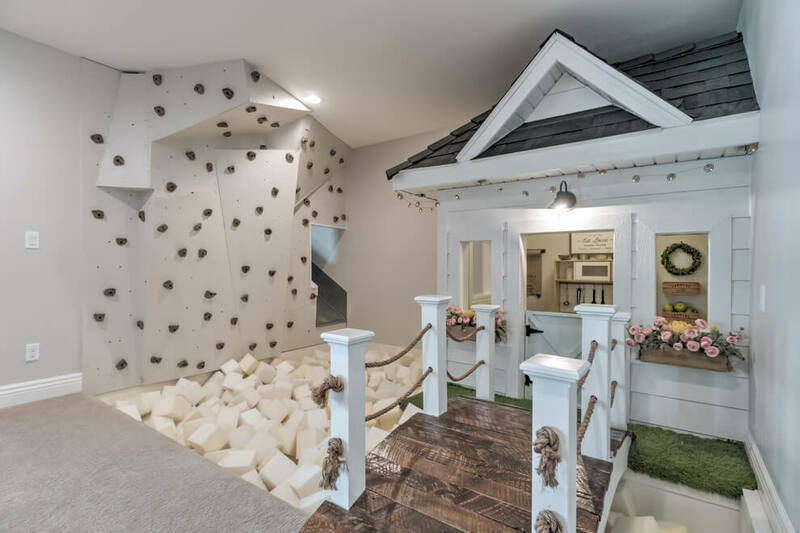 Well, you can actually build a simple playroom for kids under the stair. You can add a special block that is completed with a small door. 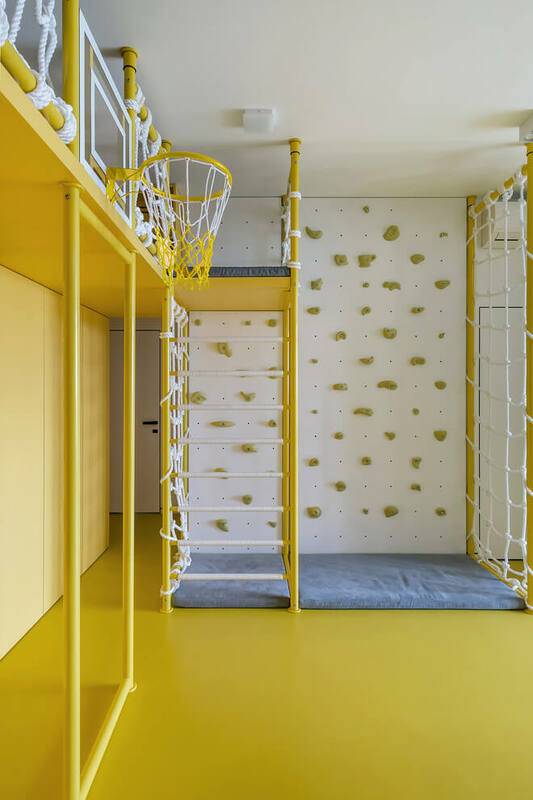 Meanwhile, the kids’ playroom concept may depend on your taste. You may use neutral accent like white or gray to make it look nice and add some kids item to the room. You can also build such a playroom for your kids that is inspired by Circus. Basically, you are no need to complete it with circus items, but you just decorate your playroom wall with a circus tent. But, it is your decision to choose the color whether you like blue and white, red and white, and other accents. Somehow, you only have to add some kids items inside the room. 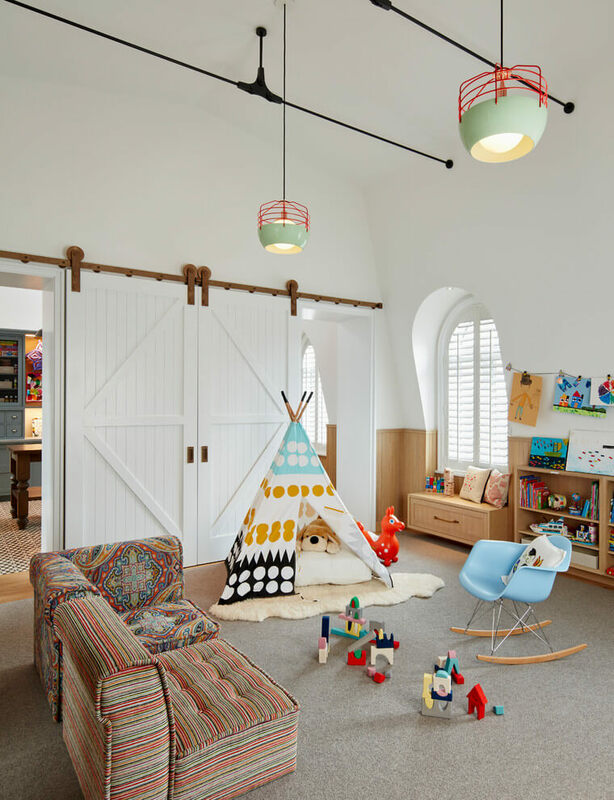 It is a beautiful playroom that combines a few accents in order to make the room alive and gorgeous. However, you do not need to apply the colorful concept to every corner of the room. Simply, you can choose the wall to be painted in rainbow colors. Meanwhile, you may add a large cabinet to store your kids’ toys along with some nice decors around the room. 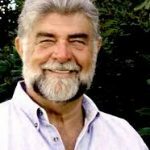 Are your kids like reading books? 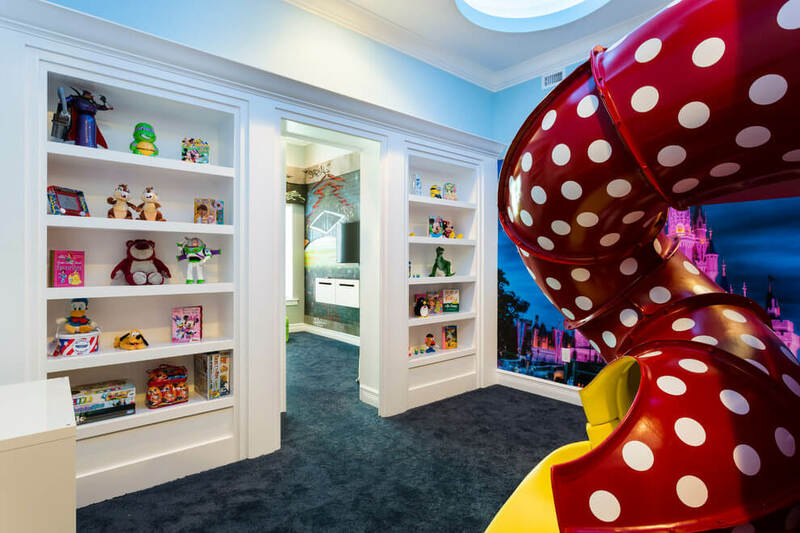 Well, you may build such a playroom that combine library and playroom. In this case, your kids will not only be able to play in the room, but they can also read their books after playing. This concept is very easy because you only have to add a large bookshelf in the room. Meanwhile, it is your decision to add some decorations to make it more valuable. 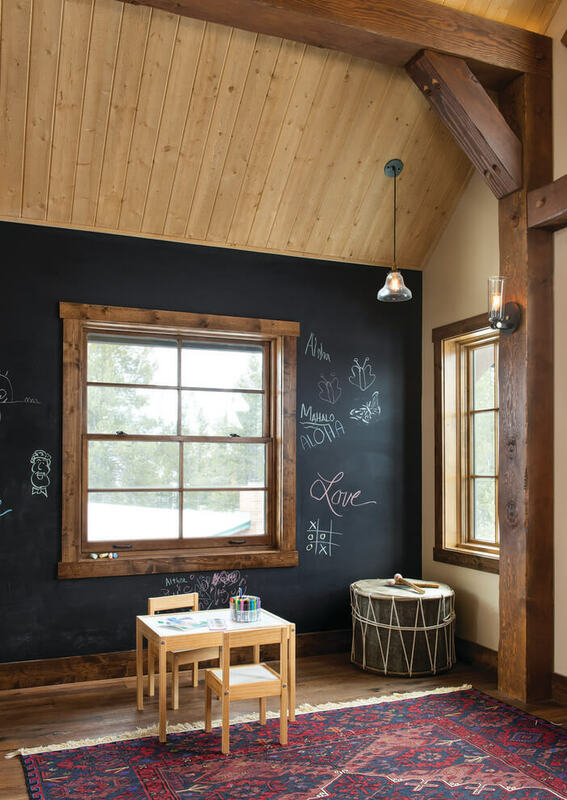 Creating such a nice playroom for kids may be an easy thing to do. Given that you can add any kinds of graphic designers to make their playroom look more awesome. This playroom storage that is completed with a whimsical twist is a great idea to make a plain playroom to become more attractive and unique. In this case, you can choose small storage that you can give a little beautiful painting while you add some nice photo frames on the wall. Building a playhouse is not always done outside the house. Meanwhile, you may prepare a special room that you can create for a playhouse for kids. 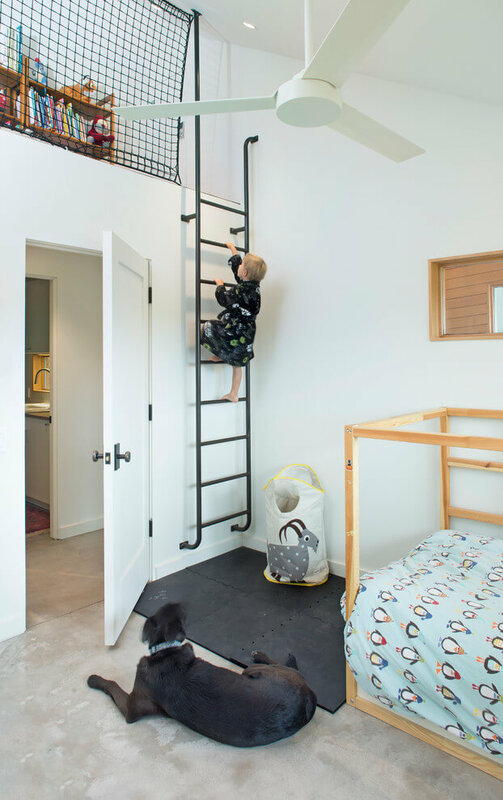 In this case, you can add a small bunk bed made of wood and add a safe ladder to climb it. It will not only look unique, but it will also look more spacious because you can use the space under the bed to put some other items. It is a beautiful and attractive concept of a transitional playroom that is suitable for toddlers and teenagers. Somehow, this playroom idea only requires a lot of accents that you can add to every single item inside the room. For instance, you can complete the room with a gray cabinet, blue small whiteboard, red kids table, white chair, and orange pillow. Meanwhile, you can draw the wall with a neutral accent like white or light gray. If you do not have enough space to build a playroom inside the house, then you can use the balcony to make such a simple playroom. But, you have to make sure that is safe for your kids. Meanwhile, you do not need to apply so many accents to the wall or you can focus on the item used in the playroom balcony. You can simply complete this playroom with some kids stuff like a small tent, toys, small table, and others. If you do not like to use colorful concept for your kids’ playroom, then we may recommend you to apply a neutral theme DIY playhouse concept. In this case, you do not have to use a lot of accents, but you can simply choose a white accent for the wall, floor, and even the ceiling. In addition, you can also complete this amazing DIY playroom with kids stuff, but make sure that it also has a white accent. In a certain case, you can use items that have different colors like gray and black. Beach house does not mean that you have to build a house at the beach. Somehow, you only imitate the beach theme for your kids’ playhouse. This modern beach playhouse for kids really looks expensive and valuable because you can add some beautiful, luxurious items inside the room. It still belongs to kids playroom despite adults may also use it for a special occasion. In this case, you need to put a large sofa along with colorful pillows. 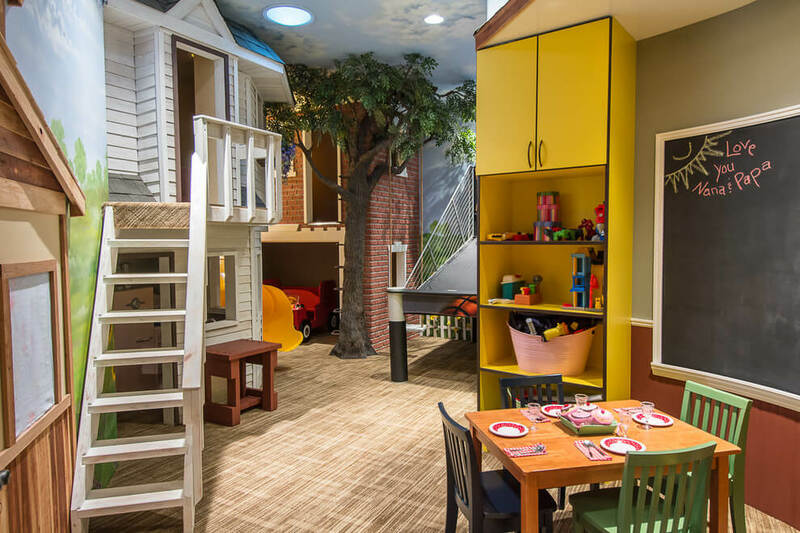 It is not mistaken if you convert your basement into a fun playroom with a treehouse concept. In this case, you can build such a small tree house on a tree-like branch made from wood material. Meanwhile, you can decorate your basement wall with sky blue accent along with white accent to resemble .cloud. In addition, you do not need to paint the tree house and keep the original wood accent. 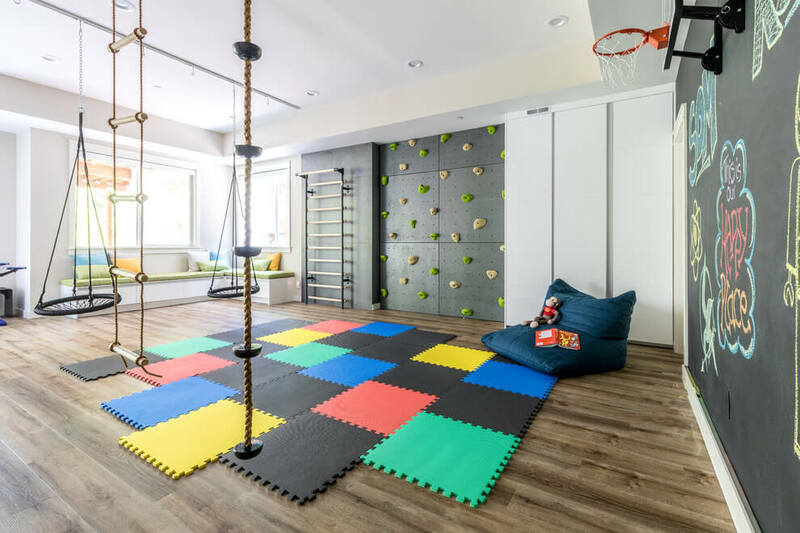 If you like a modern concept for your kids’ playroom, then you may try the modern while theme basement playroom that looks really futuristic and attractive. 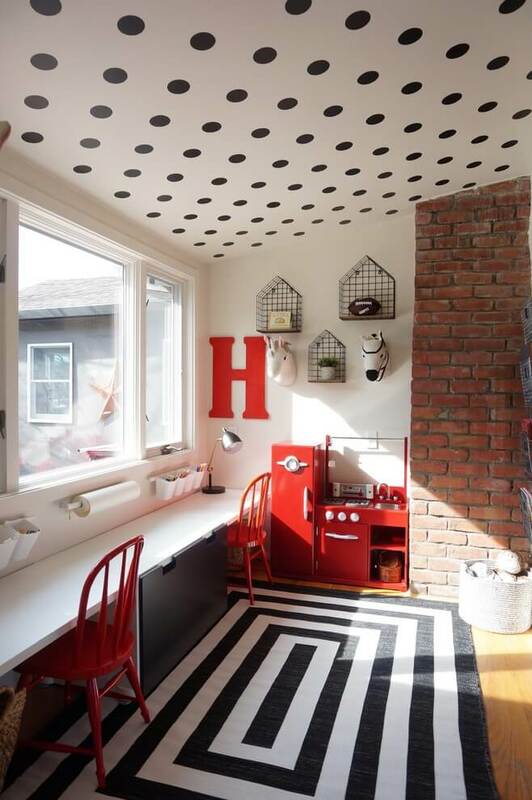 In this case, you only have to apply white accent to all around the playroom including the wall, ceiling, and floor. Somehow, you also can add items in white color. How to create such a colorful playroom for your kids? It is very easy to build a new theme for your playroom using a wide variety of accents. In this case, you may build a large global map on the wall with a different accent or just apply a map wallpaper to the wall. There are a few items that also use neutral accents like a white closet, and gray sofa. Well, if your kids really have a lot of items or toys, it seems that you have to build a small playroom that has a large cabinet or storage. This storage may have an L shape and it is made from wood with a white accent. You may also include doors or you do not have to use doors to make every stuff appear on the display. You can also add small chairs with a round table to complete the playroom furniture. 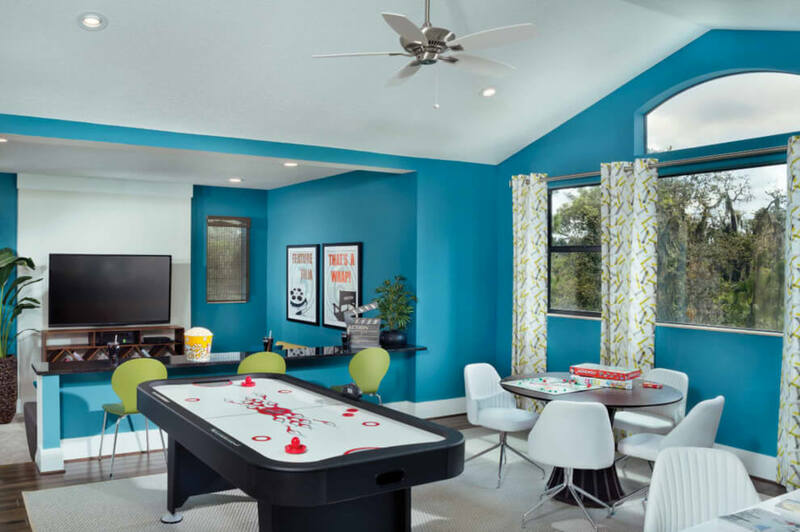 Well, if you like playing with colors, you may also apply the color theme to your playroom idea. In this case, you may try to paint the wall in green accent while you can also combine it with white, pink, red, blue, and yellow stripes. To add more value, you can hang some colorful decorations too or use hanging lamps in gold accent. If your kids like a big map, then it is not a bad idea if you use a wallpaper that has a geography image. In this case, you can choose the white accent to make it more attractive and modern. Meanwhile, you can also complete it with some beautiful blue kids furniture products like small chairs, a small table, and others. For more value, you can also use a large blue rug to cover the floor. Well, if you have a girl, it is necessary to pick the right accent to make the playroom look fresh and feminine. 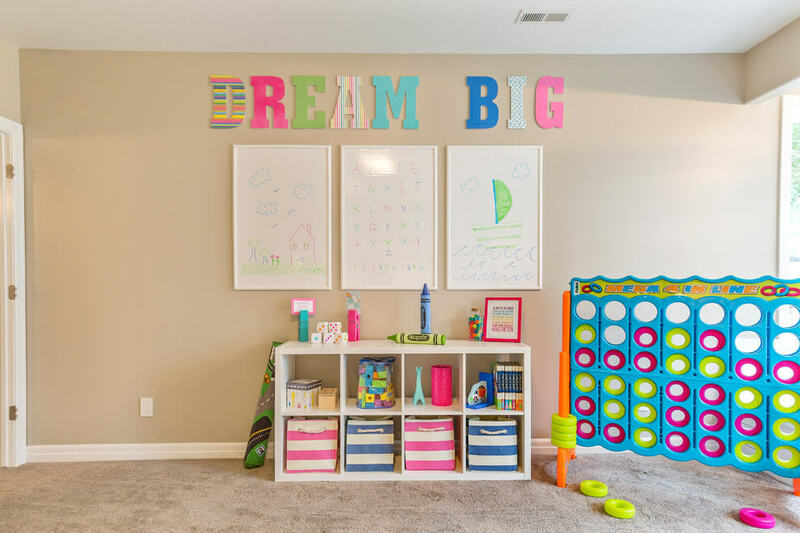 In this case, you need to play with colors, especially fresh and light colors to decorate your girl’s playroom like pink, a light green, white, and yellow. You can also add more colors that you can get from the kid’s stuff itself. 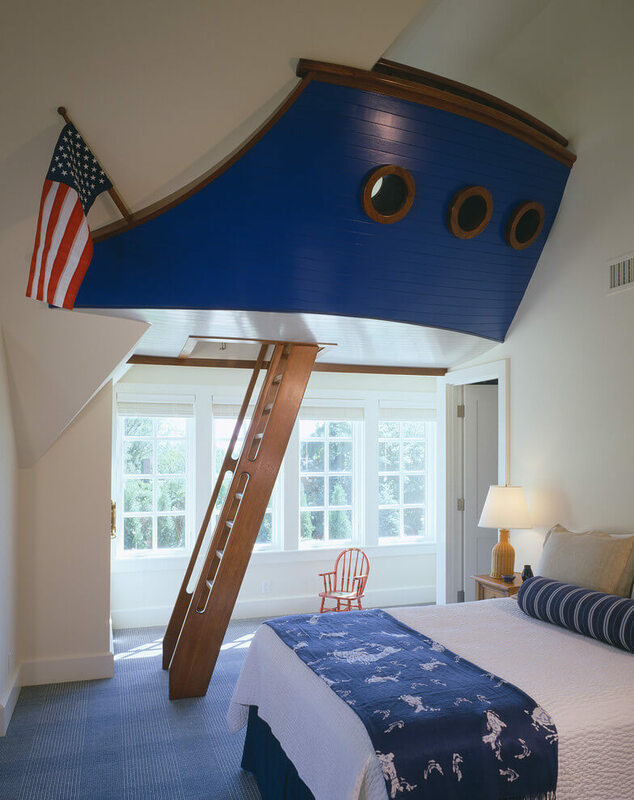 A large basement is a great idea to be converted into a nautical theme playroom idea. In this case, you can build such a small pirate ship in the middle of the room while you also use light blue flooring that resembles the sea. In addition, you also put some kids furniture products in the room in various color. 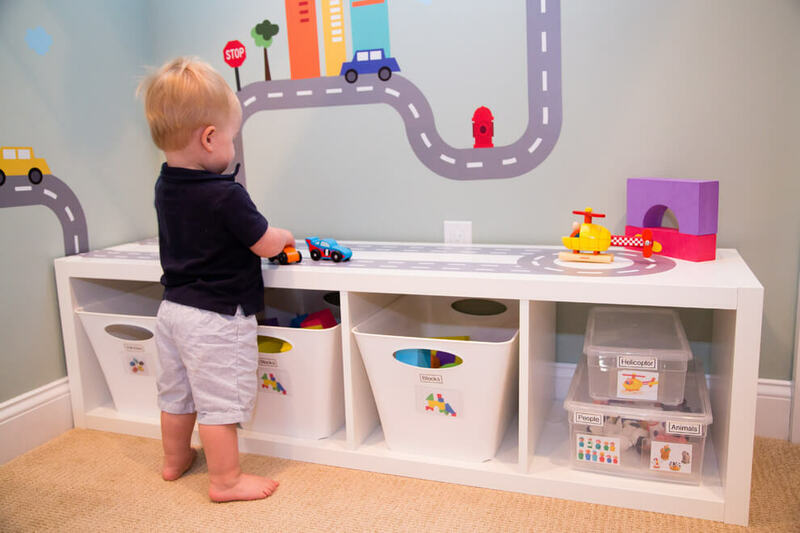 If you have a small space, it does not mean that you cannot build a playroom with storage. Well, it is a great idea to use the built-in storage concept in your playroom. Simply, you can build small storage on the wall which is basically connected to the window. Meanwhile, you can use rainbow wallpaper to add more accent to the room. It is always possible to build a small theater room that is combined with the playroom. In this case, you only have to prepare a basement, and then put a medial wall along with a big television. For the wall accent, you can use black and white accent to make it simple, but it still looks attractive. If you do not use a media wall, you may just hang your flat TV on the wall above the kids’ storage. Well, suppose you have a beautiful daughter who really likes playing cooking, then you may build such a nice playroom with an apartment kitchen concept. In this case, you also need to play with colors. You can paint the wall with light blue color and then just put a small kitchen island with some plastic cookware. Anyway, it is also nice to apply a modern living room-like playroom concept that uses small sofas for kids. In this case, you can redesign your basement or a special playhouse with some color options. For instance, you can use a large rug that has a purple color. Meanwhile, you use a sofa with various accents like blue, yellow, green, and orange. You can teach your kids how to keep our environment safe by applying environmental-friendly playroom for kids. In this case, you can also play with colors. For instance, you can paint the wall with light green accent. Meanwhile, you can also add more value by drawing some colorful flowers on the wall. Or you can also use real plants inside the room near the window. You can adjust your kids’ playroom with their hobbies. If you have a kid who likes reading, then you can build such a playroom that has a library theme. This library-themed playroom is easy to create. You only have to build some bookshelves around the room and then put their favorite books on the shelves. Meanwhile, you can choose your favorite accent to add more value. Image From Chango & Co. Image From C Blake Homes Inc.